Lower back pain is often related to tightness in the surrounding muscles. Here are four exercises and stretches that can offer relief. Common everyday habits, like sitting at your desk for long periods of time, can leave you with lower back pain and decreased mobility. While we recommend consulting an orthopedic specialist to rule out a serious injury, in many cases a few basic physical therapy exercises can help relieve your symptoms. The piriformis muscle in the buttock stretches from the bottom of the spine to the femur. Piriformis tightness, especially if it irritates the nearby sciatic nerve, can cause pain that runs from the lower back all the way into the legs and feet. To stretch this muscle, first lie flat on your back. Cross your right leg over your left, grasping your right shin with your left hand. Gently pull your right ankle over to the left side of your body and up toward your chest. Hold for 30 seconds. Then bend your left knee and bring it up toward your right leg. Grasp your left knee with your left hand and gently pull it toward your torso. You should feel this stretch in your top leg. Hold this pose for 30 seconds, and repeat with the other side. This exercise can help relieve much of the tightness that can build from sitting all day or overusing the muscle. The psoas major muscle, also known as your hip flexor, connects your lower spine to the top of your thigh, and can become tight and tense if you stay seated for too long. The discomfort may manifest in your lower back as well as your hips. Symptoms of an injury can include difficulty kneeling, standing for long periods, or rising from a seated position. To perform this stretch, lie on your back, either with your buttocks at the edge of a bed, or on the floor with a towel or foam roller beneath your lower back. You want your extended legs to be able to drop downward, if possible. Bend one knee and bring it up to your chest, pulling it gently with your hands. Hold the stretch for 30 seconds to a minute, as long as you don’t feel pain. Repeat with the other leg, and stretch each leg at least three times. The hamstrings run down the back of your thighs, from the hips to the back of the knees These muscles can easily become tight and cause discomfort in your lower back, especially if you spend eight hours a day sitting in an office chair. Performing hamstring stretches for at least 30 seconds to a minute, twice a day, can go a long way toward easing tension. One simple stretch is the chair hamstring stretch. While standing, place the heel of one foot on a chair so that your leg makes a straight line. Bending from your hips, lean forward and reach toward your toes. Stop and hold when you feel a stretch in the back of your thigh. Then repeat with the other leg. Alternatively, you can try a wall hamstring stretch, which allows you to lie down and avoid stress on the spine. It’s best to use a doorway where you can stretch one leg at a time, but you can also lie on your back and put both of your legs straight up on the wall at once, with your buttocks next to the wall. As you inch close to the wall and straighten your knees, you should feel the stretch in the back of your legs. This mat exercise will help you strengthen and stabilize your lower back. Start on your hands and knees with your core tight and your back flat. Extend one leg behind you, with your hips level, and hold for 5-10 seconds. Then simultaneously lift your opposite arm out in front of you and hold. Repeat this 10 times for each leg, and be sure to keep your core tight and your back in position throughout. The above exercises are an effective way to relieve lower back pain. However, there are some exercises that can make the issue worse. Touching your toes, for example, can stress the spine and overstretch your hamstrings. We also advise against doing sit-ups if you’re suffering from back pain, since they tend to actually stress the hips and put pressure on the spinal discs. It’s best to perform the above exercises after consulting a doctor, and under the supervision of a physical therapist. Be sure to warm up and cool down when you attempt these stretches, to avoid stressing the area and causing spasms or strains. Never force the body into a position that causes pain. 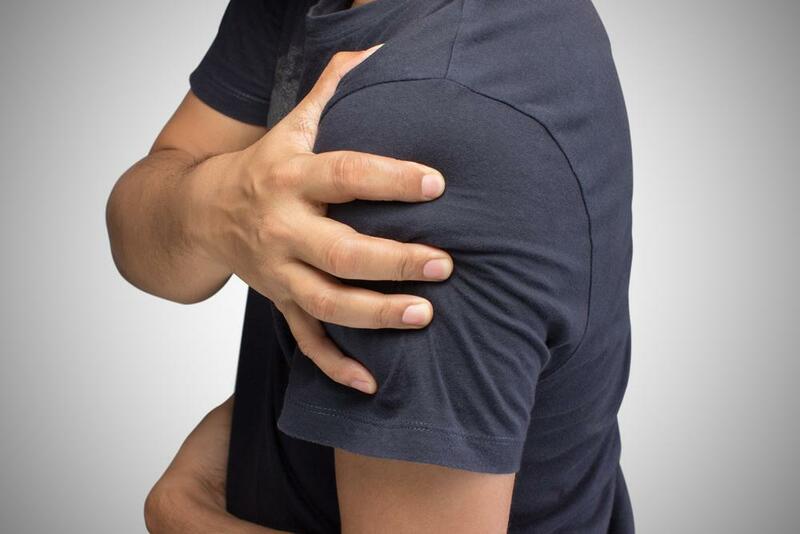 In some cases, back issues may be related to “inhibited” muscles, which do not respond to strengthening exercises, and may require an orthopedic specialist’s intervention. 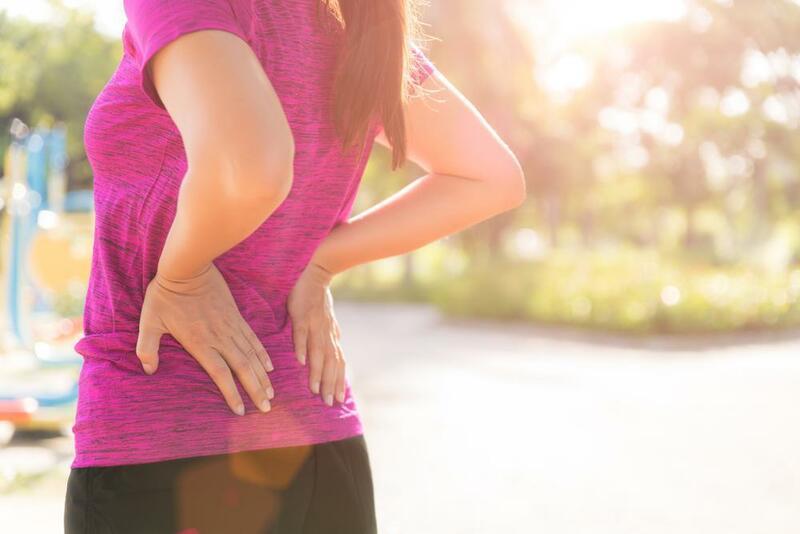 If you’ve tried these exercises and your back pain persists or worsens, the orthopedic specialists at New York Bone & Joint can help you rule out underlying issues and help you develop a productive healing plan.